Sila in Buddhism is one of three sections of the Nobel Eight Fold Path, and is the code of conduct that embraces a commitment to harmony and self-restraint. Sila is an internal, aware, and intentional ethical behavior, according to ones commitment to the path of liberation. During their day-to-day lives, Buddhist exercise self-discipline by observing five precepts. Five precepts are simplest form of discipline prescribed in Dhamma, in order to establish and maintain peaceful life and social harmony. Refrain from using luxuries such as comfortable seating. The five precepts helps people to live a peaceful and harmonious life and the extra three precepts help to simplify the life providing a calm and conductive atmosphere to stay focused on Dhamma and mediation. Chicago Buddhist Vihara conducts a “Sil” program once a month and special Sil program on May (Vesak) and June (Poson). 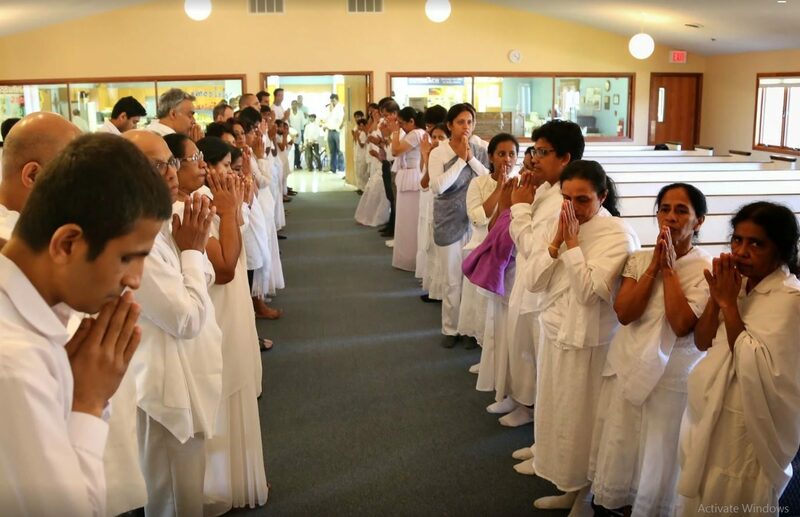 In these “Sil” programs, in addition to observing the eight precepts, there are Mediation practices, Dhamma Sermons and Discussions providing very valuable opportunity for the community to gain merits, improve the quality of life and to help better understanding of Dhamma and insight in to our own lives and minds.